ADVENTURE MAY HURT YOU, BUT MONOTONY WILL KILL YOU. 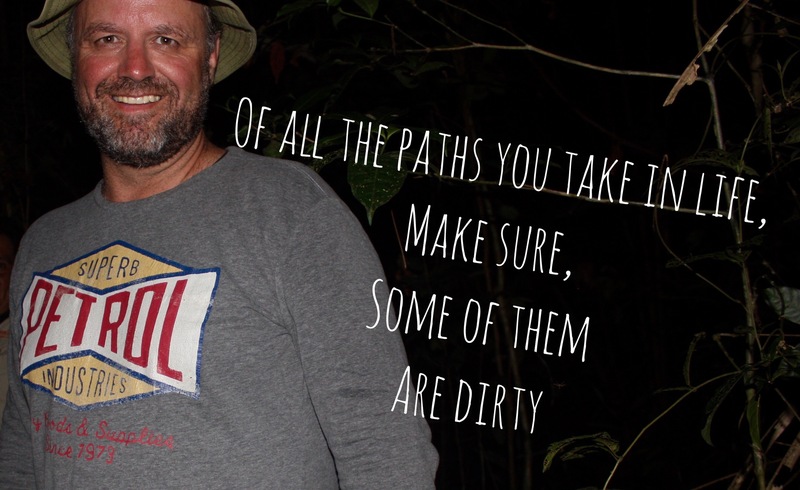 SO OFF ALL PATHS IN LIFE MAKE SURE SOME OF THEM ARE DIRTY: GO HARD OR GO HOME. Click to follow our adventures by e-mail. How can you travel as efficiently as possible in terms of time? – Find out what you want to see in advance. Collect funny, interesting and exciting spots. – Determine the GPS coordinates with Google Maps. Because of this you do not have to search long if you are in the country. Buy a phone card on the spot so that you can enter the GPS coordinates in Google Maps. Google Maps shows you the way. – Never look for spots during your trip. When traveling, you are in the executive phase, not in the discovering phase. – Map all your fun spots at home using Google Earth. This way you know which route to go and do not cross the country from left to right. – Determine immediately where you are going to stay the night. – Never drive longer than 4 hours in a row. You also need to be fit when you arrive at your destination. – With Google Maps you can even zoom in on a possible parking space near your hotspot. So you no longer have to find where you can park your car. – This way you make efficient use of your time.